What an exciting time to be a member of SNEB! We have topped 1,160 members representing 50 states and 30 countries. The 2014 Annual Conference will be June 28 through July 1 at the Hilton Milwaukee Center, 509 W. Wisconsin Ave., Milwaukee. The room reservation link is now online. The rate is $149/ single or double occupancy. Keep in mind Milwaukee will host a large music festival, Summerfest, beginning June 25 through July 6. We recommend booking your conference accommodations as soon as possible. The Oklahoma State University Department of Nutritional Sciences invites applications for a newly-open, nine-month tenure-track faculty position at the assistant professor level in the Department of Nutritional Sciences. This is a full-time position beginning August 2014. The SNEB Early Professional award is presented to recognize an SNEB member who has made notable contributions in the field of nutrition education and to the mission of SNEB during the early stages of their career. The deadline for 2014 nominations will be Feb. 14. The Society for Nutrition Education and Behavior is accepting applications for a student member representative to the SNEB Board of Directors. The deadline to apply is Feb. 28. Tray Fox writes, "I updated the memo re: upcoming regs based on the most recent Unified Regulatory Agenda from the Office of Management and Budget. The memo summarizes 12 upcoming key regulations regarding nutrition, obesity prevention, menu labeling and nutrition facts labels. The pertinent regulatory actions are listed for the U.S. Department of Agriculture first and the U.S. Department of Health and Human Services second. "Keep in mind, the list includes regulations that agencies expect to publish in the next six months. It is important to note that the dates provided are subject to change and agencies rarely meet estimated deadlines. Furthermore, there is no 'penalty' for not meeting estimated deadlines." Need to update your contact information with SNEB? Don’t miss an issue of JNEB or updates from SNEB. If your contact information changes, update your membership record here. You can also change or add a division membership. Sue retired after 40 plus years in public health on Dec. 20. 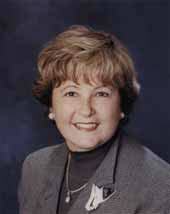 Sue was affiliated with the California Department of Public Health since 1976 and most recently was Chief, Policy, Planning and Partnerships Section, Network for a Healthy California, Nutrition Education and Obesity Prevention Branch. If you're trying to be healthy, sitting down for a meal at a full-service restaurant like Olive Garden is a better option than pulling up to the nearest McDonald's to grab a Big Mac. Right? Wrong. In a new study published in the Journal of Nutrition Education and Behavior, researchers from Drexel University and the University of Pennsylvania studied more than 2,600 menu items at full-service restaurant chains like Olive Garden, Red Lobster and T.G.I Friday's and concluded that the sit-down spots exceed the recommended calories, sodium and saturated fat for a single meal. Fast food gets a bad rap when it comes to health and nutrition. But is the food at full-service chain restaurants any better? A new study in the Journal of Nutrition Education and Behavior shows that the entrees at some of the most popular chain restaurants leave much to be desired in the nutrition department, with many entrees being too high in sodium and too low in fiber. We are about a week into the new year and already many of us who made resolutions to eat better are finding it harder to do than we imagined. One of the challenges is what to order when we eat out at restaurants. A new study in the Journal of Nutrition Education and Behavior shows that the entrees at many of the chain restaurants are not doing us any favors. An adult meal at a typical full-service restaurant chain contains about 1,495 calories, 28 grams saturated fat and 3,512 milligrams sodium, according to a study published in the January issue of the Journal of Nutrition Education and Behavior. AudioSlides are short, webcast-style presentations that are shown next to the online article on ScienceDirect. This format gives authors the opportunity to present their research in their own words, helping readers to quickly understand what a paper is about and appreciate its relevance. Check out the presentation now available for this JNEB article: "Test-Retest Reliability of a Short Form of the Children's Social Desirability Scale for Nutrition and Health-Related Research" by Dr. Patricia H. Miller. Child Safety Solutions Inc. & Slim Goodbody Corp.'s resource, MyPlate Nutrition Education Kit for Head Start, in addition to an accompanying DVD and music CD, was "highly recommended to recommended" by MyPlate eCatalog reviewers. The curriculum kit is keyed to Head Start Performance Standards and offers flexible activities and lessons that make it easy to integrate into existing programs. A long-running and well-respected workplace wellness program at PepsiCo that encourages employees to adopt healthier habits has not reduced healthcare costs, according to the most comprehensive evaluation of a such a program ever published. Just in time to help us with those New Year's weight loss goals, the new annual "best diets" list is out from US News & World Report. "Unlocking the potential of wild edibles" describes the work of the Biodiversity for Food and Nutrition project to promote the conservation and sustainable use of nutritionally-relevant local biodiversity. The project is exploring the nutritional properties of a select number of species in Brazil, Kenya, Sri Lanka and Turkey to compile a list of traditional and/or neglected foods with nutrition potential. Are there good scientific studies that show that drinking sugar-sweetened soda increases the risk for obesity? The answer may vary depending on who is paying for the study. Researchers examined 17 large reviews of the subject (one review assessed results for adults and children separately, so there were 18 sets of study conclusions). Most students in elementary, middle and high schools are exposed to food commercialism (including exclusive beverage contracts and the associated incentives, profits and advertising) at school, although there has been a decrease in beverage vending, according to a study by Yvonne Terry-McElrath, M.S.A., of the University of Michigan, Ann Arbor, and colleagues. Currently, more than one in three American adults over 20 is obese — up from roughly one in four 20 years ago. And millions of other people are currently carrying more weight than they'd like this time of year, thanks to the annual holiday overeating ritual. Many Americans experience not only health problems but also guilt and shame over these added pounds. And that's why weight loss is big business. If you're one of the millions of people who count losing weight among their top New Year's resolutions, you might want to pay careful attention to some new findings by UC Santa Barbara psychology professor Brenda Major. It turns out that the weight-stigmatizing messages presented by the media — the ones that characterize overweight individuals as lazy, weak-willed, self-indulgent and contributing to rising healthcare costs — may be tipping the scales in the wrong direction. For several years, many have been quick to attribute rising fast-food consumption as the major factor causing rapid increases in childhood obesity. Now researchers at the University of North Carolina at Chapel Hill report that fast-food consumption is simply a byproduct of a much bigger problem: poor all-day-long dietary habits that originate in children's homes. Heavy adults who believe drinking diet soda will help them lose or keep weight off should think again. Researchers at the Johns Hopkins Bloomberg School of Public Health who examined national patterns in adult diet beverage consumption and calorie intake found that overweight and obese adults who drink diet beverages consume more calories from food than obese or overweight adults who drink regular soda or other sugary beverages. The FDA has created, through the Safety Reporting Portal (SRP), a convenient, secure and efficient method for letting FDA know when industry or consumers finds a problem with a dietary supplement. This new reporting method is an all-electronic version of the MedWatch 3500, 3500A and 3500B forms (used by industry and consumers to report problems with FDA regulated products), tailored exclusively for dietary supplements. Eating high levels of flavonoids including anthocyanins and other compounds (found in berries, tea and chocolate) could offer protection from Type 2 diabetes, according to research from the University of East Anglia and King's College London.